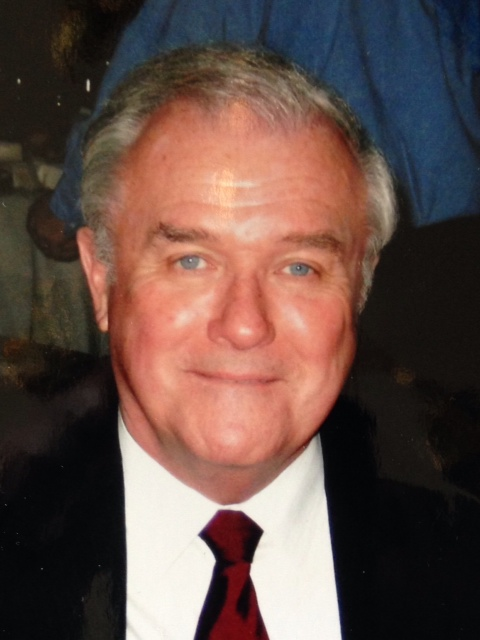 Raymond Charles Pittock, 74, son of Elmer and Loretta, peacefully passed away on Tuesday April 21, 2015, after a long battle with cancer. He is survived by his cherished and loving partner Janet Gladstone and children Deborah Pittock, Rochelle Pittock Konyha (Lou) and Christopher Pittock (Teri), step children Michael Girbino (Debbie), Jeffrey Girbino (Diane) and Carla Girbino Gamber, Julie Finucan (John), Jennifer Wiskes (Luke), Kristen Leahy (Jim), Megan Burns (Dan) and Katie Weakland (Nate). Brother of Ron (Nina). Brother-in-law of Nick Gambatesa (Marlene) and Don Gambatesa (Linda). Preceded in death by wife Santina Gambatesa Pittock. Dear grandfather of Samantha, Jennifer, Kelsey, David, Margaret, Nick, Allison, Lauren, Grant, Dylan, Molly, Jack, Toby, Alexandra, Tommy, Luke, Cailey, Matt, Claire, Nicholas, Kevin, Will, Audrey, Wynne, and Evan. He served as a member of the Knights of Columbus and an involved parishioner to St. Gregory the Great Catholic Church. He will be greatly missed by all who knew him. Mass of Christian Burial Friday April 24, 2015 at 11 a.m. at Sacred Heart of Jesus Parish (St. Gregory the Great). Inurnment Lakeview Cemetery. The family will receive friends at VICCHIARELLI FUNERAL HOME 5252 MAYFIELD RD., LYNDHURST (BETWEEN RICHMOND AND BRAINARD) THURSDAY 4-7 P.M.